The location of this painting is on the east side of Lake Tahoe, near the road that enters from 395. Sorry, I don't remember the highway number at the time. 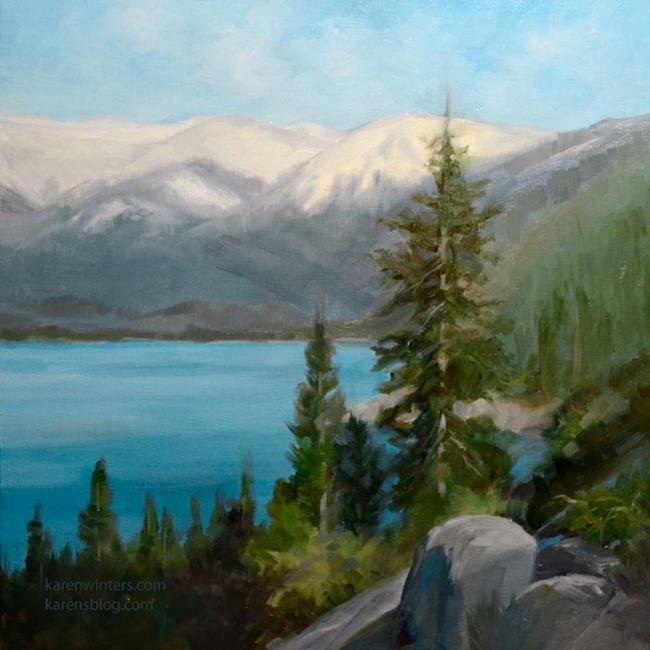 Beautiful pine trees tower over crystal clear deep blue waters in this California landscape oil painting.